The average expatriate investor has probably heard of funds, but probably hasn’t heard or used ETFs. We think that is a big mistake. Perhaps having an acronym as a name is the problem. Exchange Traded Fund (ETF) isn’t a weird thing full of mystery and suspense. ETF’s are the best invention for the average investor in the last 20-30 years and much loved by professional investors and even pension fund managers. In our experience very few expatriates (apart from my American friends) have every heard or used them. So here are a few reasons why we think ETFs rock, and why they are still ignored by most. Remind me: What is an ETF? 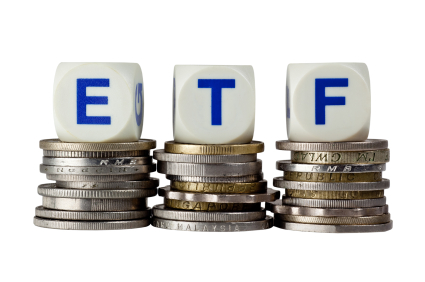 An ETF or Exchange Traded Fund is a security that tracks a basket of securities but trades like any other stock. They are used to match the performance of whatever sector or industry that a particular investor likes. One of the most popular ones is the SPDR S&P 500 (SPY) which has over $154B in assets. Take a note of this chart comparing SPY versus the S&P 500 over the past year. It is virtually impossible to see the difference because the tracking error is less than 5 basis points. Dirt Cheap Expense Ratio: With ETF’s all you pay for is the passive management fee. No need to pay a front load fee (entrance), redemption fee or high management fees. The lowest ratio around is the Schwab US Large cap ETF (SCHX) at 0.04% or US Treasuries ETF (SCHP) at 0.07%. The most expensive one according to etfdb.com is CANE with a ratio of 2.32%. Try comparing those to mutual funds. According to Morningstar, the average ETF expense was 0.6% versus 1.45% for actively managed funds in 2010. That’s a big cost for no gain for you. Low Redemption time: Oh wait there is no time to wait for your money. If you want it immediately all you have to do is sell it at market price. There is no need to fill out lengthy forms and wait for the money to arrive. I did find this lovely presentation on how to redeem mutual fund shares though for those of you that needs to plan ahead Redeem Mutual Funds for Dummies. Not needed for ETFs. Access and Flexibility: If you have a hot tip and you want to invest then there is likely an ETF that will suit your needs. From Ishares-Thailand to Sugar (SGG) there are many possibilities. However, I’d recommend sticking to the brand names until you get some experience behind you. New ETF’s sometimes have low trading volumes and may be difficult to enter or exit at your desired price. Increased Popularity: Assets invested increased from 8.2 billion in 1997 to well over 1.5 Trillion today. Many advising firms and institutions are including ETF’s in their strategies. Three Risky ETF’s – Forbes article with some good advice. 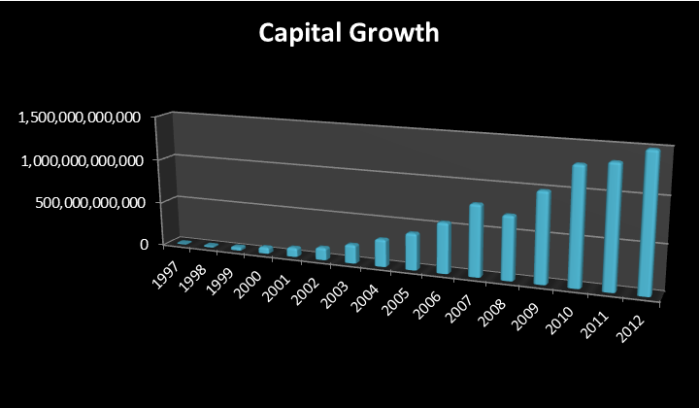 Growth of ETF’s– Investments in ETF’s have grown from 100 billion to 1.5 Trillion in 12 years. Why do people ignore ETF’s? Money: Over the years investment advisors, brokers, banks and other financial institutions have made billions of dollars in fees off of mutual funds. It is likely that your investment advisor may have ‘forgotten’ to mention Exchange Traded Funds because he likes making money more than he likes making money for you. Surprising I know. To the chagrin of these companies, ETF’s are here to stay, are growing rapidly as many more people are become aware of the benefits. Out of Sight, out of Mind: Recently, there has been more visibility and reporting on ETF’s due to their growing popularity but there is still a majority of the population that just hasn’t heard about them.